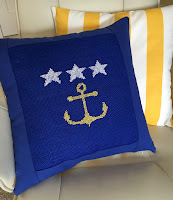 Counted cross stitch on burlap creates these two nautical pillows. 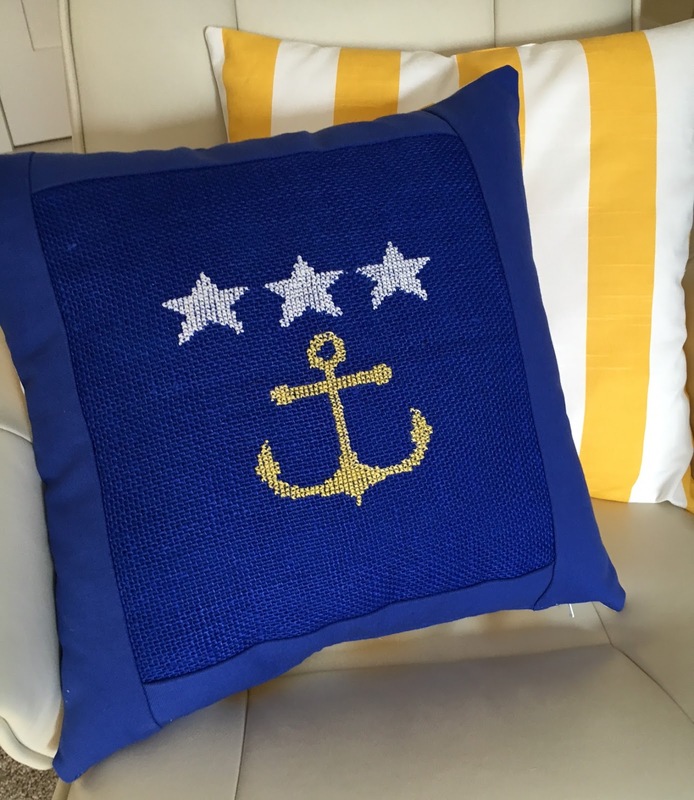 The red anchor and white stars are stitched on a natural burlap, while the yellow anchor and stars are stitched on a bright blue burlap. Both are surrounded by strips of coordinated color cotton to form a 'frame' around the burlap. These were very fun to make. The design is a quick stitch project. This fun pattern and many others with a nautical theme are available through Annette Eriksson's Etsy shop here.